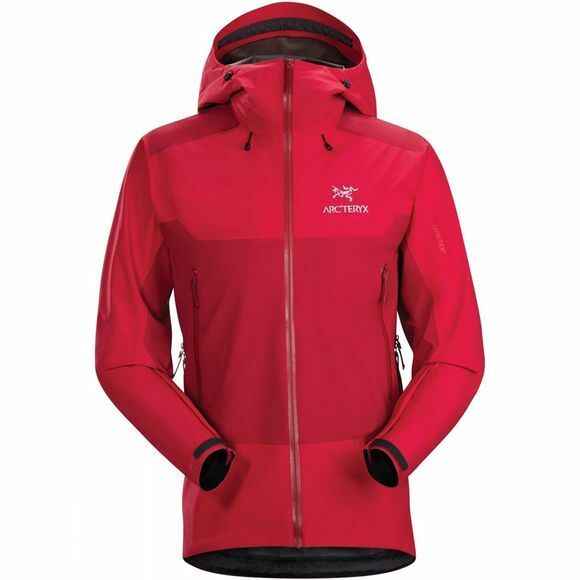 The Men's Beta SL Hybrid Jacket from Arcteryx is a lightweight jacket that provides essential protection from wet and windy weather conditions. It strategically combines Gore-Tex Paclite fabric with Gore-Tex that features C-Knit backer technology to create a lightweight, durable piece of kit that is comfortable to wear and easy to layer. The full length front zip is water resistant to keep the weather on the outside while the StormHood is helmet compatible to ensure excellent practicality with more activities. Pit zip ventilation allows you to dump any excess heat rapidly, should you need to while on the move, and two zipped pockets have been positioned to ensure minimal interference with a hipbelt or harness. A simple jacket that offers excellent versatility without the fuss.